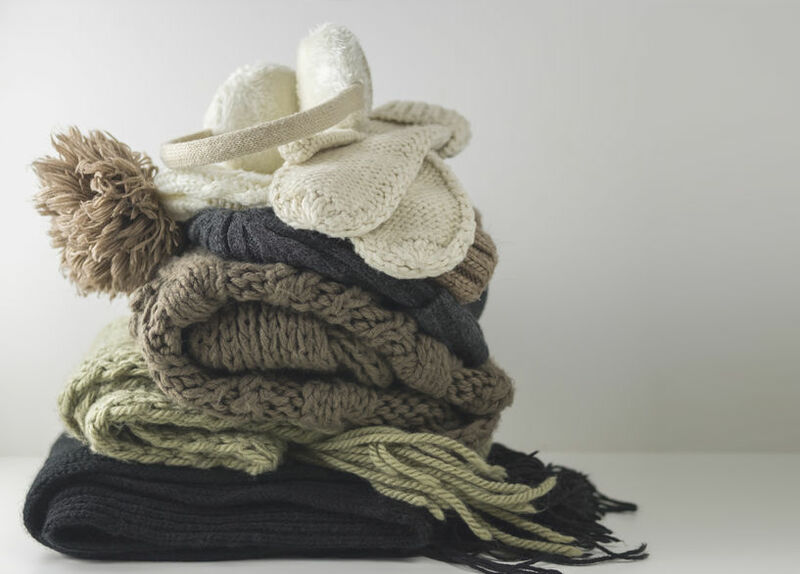 Warm woolen knitted winter and autumn clothes, folded in a pile on a white table. Sweaters, scarves, gloves, hat, headphones. Place for text. Copyspace.